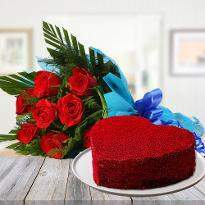 Planning to make this valentine a memorable? Well, look no further as Winni has all the wide variety of Valentine gifts. 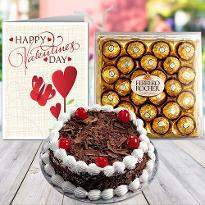 With options like same-day delivery, you can express your love for your dear ones by sending Valentine gifts online. 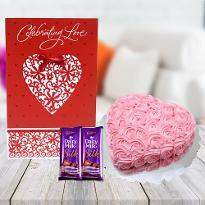 Winni has the perfect gifts that are sure to double up the romance on this valentine day. 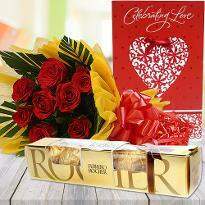 So just place the order now and put a big smile on faces of your special one. 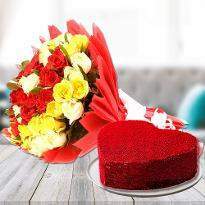 Send Valentine gifts at midnight to create some magical moments. 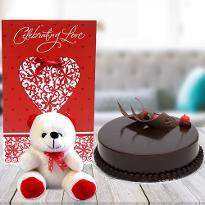 Valentine’s day is indeed a special day for those who are already in a relationship and also for those who are planning to be in one and have a crush on someone special. 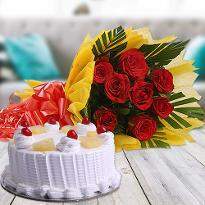 The day is celebrated with great fervor all over the world. 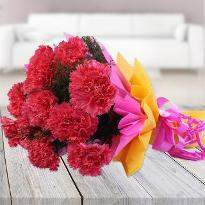 Couples share their happiness with each other by exchanging gifts. 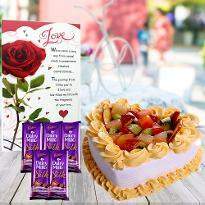 Gifts play a vital role in communicating love and affection for your special one. Perhaps, what if your special one is living in Ahmedabad? You might be worried because of the distance. 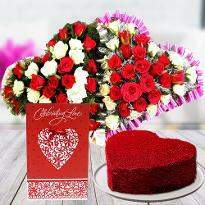 Don’t worry, you can order and send Valentine’s gifts to Ahmedabad from Winni to communicate the emotions of the heart. 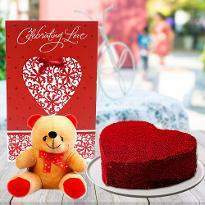 At Winni, you can select the best online Valentine gifts from our wide range of valentine gifts brought to you by our gift experts. 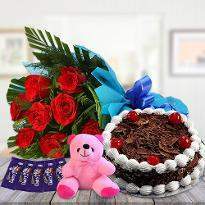 You can easily order and send valentine gifts to Ahmedabad to express your love in a unique style from Winni. Now, with Winni, distances are no longer the reason that can widen the relationship. 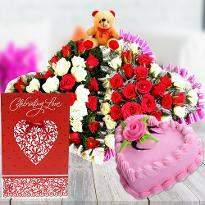 Make your presence felt to your special one’s place in Ahmedabad by sending a unique valentine day gifts online from Winni. 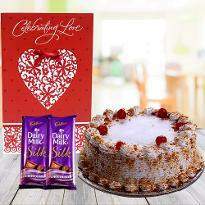 A unique gift from you will surely be going to strengthen your bond with your partner on this valentine’s day. 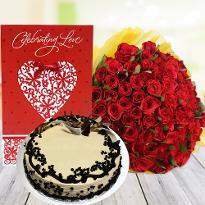 If you are going to propose your crush this valentine’s day, then take the assistance of our stunning valentine gifts. 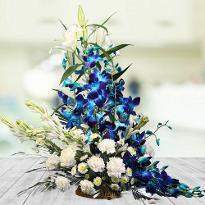 Our gifts are created by keeping in mind the sentiments of everyone. 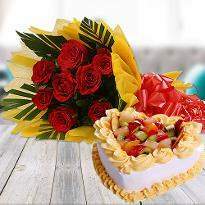 So, you can present a gold-plated rose to your crush along with a tempting cake. 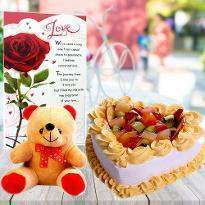 This would be the sweetest way to convey your heartfelt emotions. 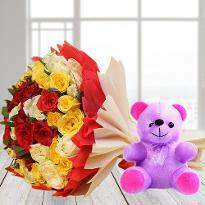 Apart from this, you can also gift teddy bear, chocolates as well as a bouquet of flowers. 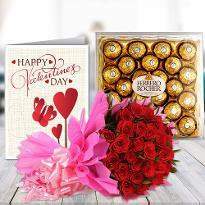 The valentine gifts available at the house of Winni are sure to please your crush and you will surely be going to hear a big yes from there side. 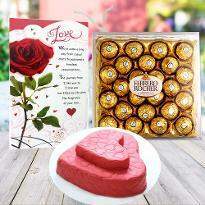 So, don’t wait anymore and explore our amazing valentine gift collections and buy for your special one. 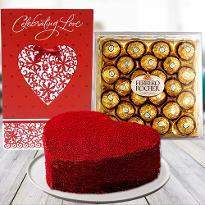 Valentine's gifts enable to strengthen the bond of love with a special one. 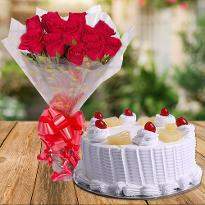 Therefore, order Valentine’s day gifts online in Ahmedabad and infuse more love, romance and happiness in your relationship. We have every kind of gifts. 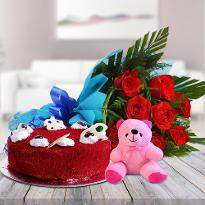 Whether you are looking for valentine cakes, Valentine flowers, teddy bears, roses, personalized gifts, we have covered to all so that you don’t have to visit anywhere else. 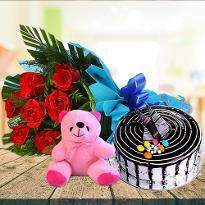 You can quickly pick the right gift for your special one from here and for express delivery. 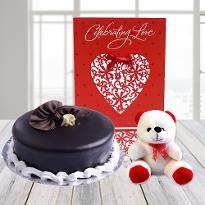 Also, you can surprise your partner at midnight by sending valentine gifts at midnight in Ahmedabad from Winni. 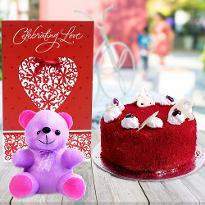 Get a hassle-free online Valentine’s day gift delivery in Ahmedabad only from Winni. Products in this category have been rated 4.9 out of 5 based on 115 reviews.